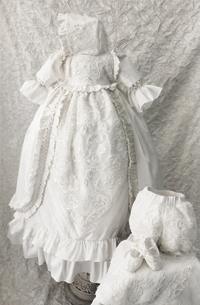 Stylish feather dress for christening or special event, can be made in ivory or whiter blush. 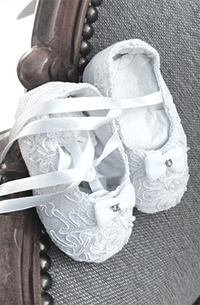 Headband: $25.00 stretch lace and lace decorations to coordinate with you baby dress. 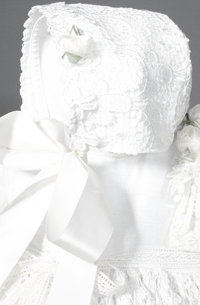 We make all of our gowns in our studio/showroom to ensure quality control.